Auvers-sur-Oise (Crow in the Wheat Field), 1981. Collection of the Corcoran Gallery of Art. “Mr. 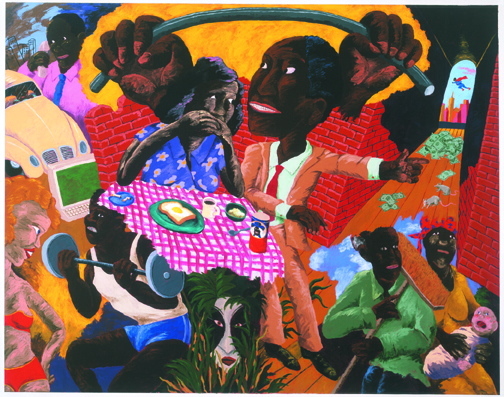 Colescott represented the United States at the Venice Biennale in 1997, the first African-American to do so. 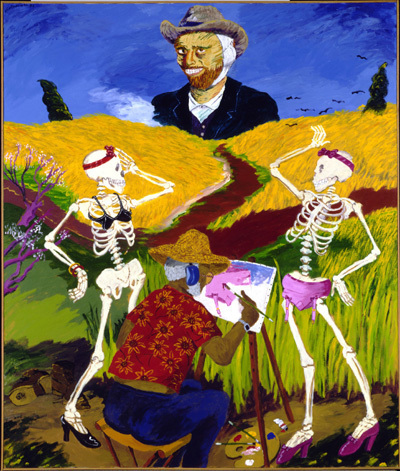 By then he was well known for pitting the painterly against the political to create giddily joyful, destabilized compositions that satirized, and offended, without regard to race, creed, gender or political leaning. Feeling His Oats, 1988. Acrylic on canvas, Collection Albright-Knox Art Gallery.